When it comes to your company’s social media marketing, hashtags are pretty much an essential part of your content strategy. These useful little links create the perfect method for finding relevant content to share, giving your audience an easy way to find your content, and grouping together like conversations. If you’ve ever been on Twitter or Instagram, you’ve more than likely seen hashtags in use before. 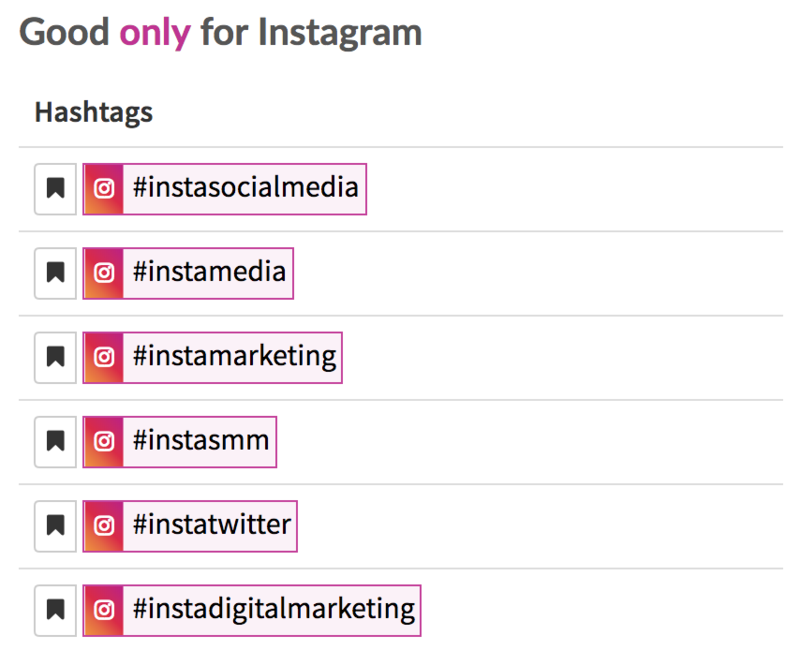 You’ve likely used hashtags on these platforms (and maybe more!) yourself. Whether you’re a seasoned expert when it comes to hashtags or brand new to social marketing, there’s one thing that’s certain: you must be able to track your hashtag use. Knowing which hashtags are popular, drive people to find your content and get them talking is essential to your social strategy. The first hashtag ever was used on August 23, 2007, by a Twitter user named Chris Messina as a means to differentiate between groups of topics within tweets. Twitter has a long history of adopting user recommendations onto their platform. For example, it was early users who referred to posts on Twitter as “Tweets” and who created @replies and retweets. And the platform just recently added the thread feature as an easy way for people to create stories via tweet. So it wasn’t long until hashtags made their way onto the platform as an official feature. And to say they spread like wildfire would be an understatement. Hashtags are now commonplace within social media, with platforms like Facebook, Instagram, Pinterest, and LinkedIn eventually implementing the searchable link feature as well. Now, hundreds of thousands of posts using hashtags are shared on social media daily. Since hashtags are so common, they can be used in many different ways and on many different platforms. Strategies can range from using your own branded hashtag to encourage your audience to share user-generated content or jumping on trending hashtags to create popular content. Using hashtags isn’t a difficult or advanced part of your strategy. Check out these tips for incorporating hashtags into your social media posts. Finding the best hashtags to use within your social media content is first priority. It’s not just a guessing game, although some strategic A/B testing is always a good idea. Each platform has a search bar for you to browse possible hashtags for your content, but those search features don’t always give you an idea of how popular the hashtag is. Using a tool like RiteTag is perfect for gauging interest in hashtags on Twitter and Instagram. You can search for an industry hashtag (for example, #socialmedia) to see how popular it is, and compare it to top related hashtags. For hashtags on Twitter, RiteTag provides a list of other relevant hashtags, how many tweets use that hashtag per hour, how many retweets that hashtag receives per hour, and how many people are seeing that hashtag per hour. These lists are color coded, with green indicating hashtags that are hot right now, blue for those with lower immediate popularity but a longer lifespan, red for overused hashtags and gray for underused hashtags that are best to avoid. Although this information is exclusively for Twitter, RiteTag also provides insight into Instagram hashtags based on your search. The information provided isn’t nearly as in-depth, but it can still give you a great idea of which hashtags to use within your Instagram post. You can also check out how many people are using hashtags on Instagram by typing it into the search bar and tapping the Tags section. Click on each tag to see how many posts are using that hashtag, if anyone you follow is using that hashtag, as well as related popular hashtags. 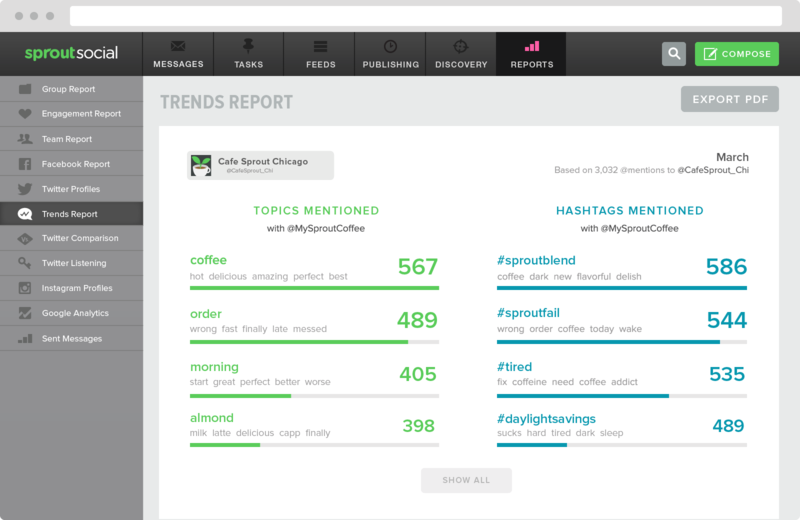 There are also multiple ways to use Sprout Social to find and review the performance of your hashtags. You can run a search in the Discovery tab for certain hashtags and see what relevant hashtags others are using. You can also use Sprout Listeners to find out how frequently people are talking about your topic, what related terms they’re using and what the sentiment around the topic is. The number of hashtags you use depends on which platform you’re posting to. A hashtag strategy is not one-size-fits-all when it comes to the various social media networks. In fact, on some platforms, it’s better not to use hashtags in your posts. For example, you shouldn’t use hashtags on Facebook. The platform does make them clickable, but including them in your content doesn’t actually add any advantages. Their search doesn’t cater better to hashtags over regular search terms, and posts without hashtags actually perform better than posts that include them. Using up to two hashtags within your tweets can actually double your engagement. We’ll talk about different types of hashtags to use (and track) here in a bit, but keep this in mind every time you’re about to tweet. However, using more than two hashtags can actually decrease engagement, so maximize your hashtag use at just one or two. Instagram posts allow you to share up to 30 hashtags, and in order to maximize reach and engagement, it’s actually recommended to use up as many of those 30 as you can. 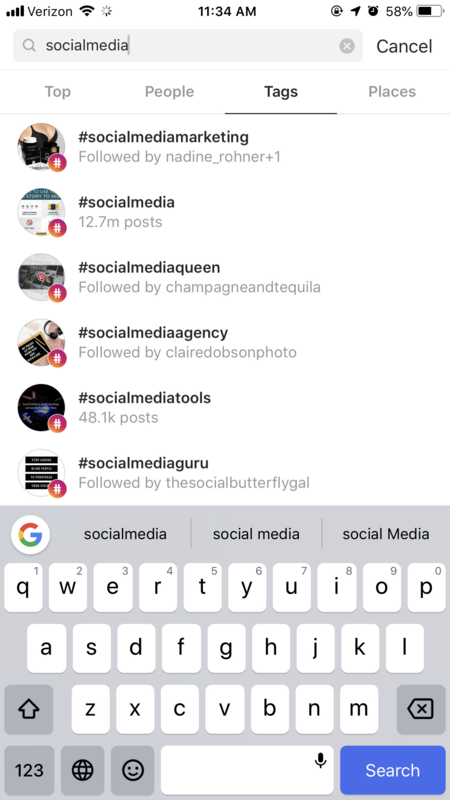 This is why tools like RiteTag and the Instagram search bar are so helpful — how else are you going to get those 30 perfect hashtags? Pinterest made a big announcement in 2018 about how they were bringing hashtag capabilities to its platform, and as of now, there isn’t enough data to determine if pins that include hashtags perform better than pins without. However, this platform is similar to Facebook in that its search feature doesn’t differentiate when searching for hashtags or keywords. We recommend simply including your keywords within the description, rather than within a hashtag. LinkedIn has also just recently added hashtags to their platform, but unlike Pinterest, they have done so while also creating a searching method that does focus on hashtags. Which means including up to three hashtags in your company’s LinkedIn post actually can help people to find your content better. Although there’s no limit to how many hashtags you can include within your post, we recommend keeping it between two and three. When you use hashtags, you’re increasing reach and engagement on your social media content. Hashtags are one of the most powerful organic social media strategies, but in order to maximize their performance, you need to track your hashtags. Many brands struggle to identify which social media metrics are most important for their campaigns, and this can also be true of hashtags. With Sprout Social’s trends report, it’s incredibly easy to see which hashtags your audience is using, how they’re performing and what other topics they’re mentioned with. This lets you build your content strategy around what your audience is most interested in, rather than just latching on to hashtags that are widely popular but have little relevance to your brand or audience. Adding those keywords and hashtags into your own tweets can help generate more engagement and buzz around your brand online. Click here to check out a sample Trends Report. What should you actually look for when knowing a hashtag is working for your social strategy? Here are a few top metrics that can help you determine the success of a hashtag. How popular is the hashtag that you’re using? Hashtags that are used often tend to also be searched for often, so it’s a good idea to include hashtags in your post that have proven to be popular. You just want to make sure you’re not spamming your followers with irrelevant but trending hashtags just for popularity’s sake. How many people actually tend to see the hashtags you’re using? If your reach isn’t very high, you’re probably not using the best hashtags. Try out some new tactics to see if you can increase the eyes on your posts, such as using a tool like Sprout to find related hashtags that are getting a lot of attention. Not only do you want to make sure people are using and seeing these hashtags, you want to make sure people are also interacting with them. Posting hashtagged content that gets users Retweeting and sharing will expand the reach of your campaign. 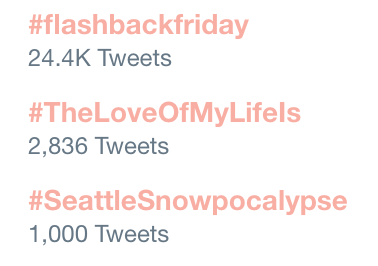 Who, specifically, is using the hashtags? You want to make sure that you’re seeing users that are within your target audience using and searching for the same hashtags that you are so your message resonates. There are several different types of hashtags that you’ll be using in your social media content. Here’s know how and why to track each one. Content hashtags are essentially the keyword hashtags that you tag at the end or inside of your post. Going back to the example we used in this article when searching for relevant hashtags, #socialmedia would be considered a content hashtag. Your company’s industry hashtags would also be considered content hashtags. You’ll want to track these so that you know which are the most popular content hashtags to use when sharing content like a blog post or other industry-related news. Check tools like RiteTag to understand which content hashtags are the most popular and are seen the most often. A branded hashtag is a hashtag that your company has created and promotes as a way of tagging your company directly. For example, @KITKAT uses #KITKAT as a way to promote their product across Twitter. Many times, a branded hashtag is simply your company name or your company name + a keyword like your product or service. Tracking this hashtag is a great way to see how many people are talking about your business specifically. You’ll want to use a monitoring tool like Sprout Social’s Discovery feature to keep tabs on conversations surrounding your branded hashtag. You can easily find out which hashtags are trending by checking out your sidebar on Twitter’s desktop website or by tapping the magnifying glass icon on the smartphone app. The platform itself will let you know how many people are talking about each of the trending hashtags so you’ll know ahead of time if it’s worth incorporating into your content. Using trending hashtags in a way that’s relevant to your content and appropriate to your brand voice can help increase viral attention on your post. Be sure to check your Twitter report to see how the impact differs from using your regular hashtags. If your company is hosting an event, if your team members are attending an industry event or conference, or if you’re tweeting about a large event going on nationally or internationally (i.e., big sporting events), be sure to incorporate the event’s hashtag in all of your posts about that event. Live tweeting is a great way to generate traction around your event and event hashtag and increase reach and engagement on your content. Monitoring your Sprout Social Twitter report is a great way to determine how much engagement your event chatter generated around your business and if you were able to increase your reach, follower count, and more. Doing some social listening is a great way to check in on how many people were also using the same event hashtag or discussing related topics. A campaign/ad hashtag is a hashtag that your company creates for a specific campaign, launch, or digital advertisement. This helps to generate buzz around one specific thing that your business is doing. For example, Starbucks will use different hashtags each time they’re promoting a new drink. If your company is trying to promote a new product or service launch or is running a specific campaign, creating a new hashtag for your company and your customers to use is a great way to get the buzz out. These hashtags are also great for tracking since they’re so specific to each campaign’s focus compared to your recurring brand or content hashtags. Social listening is a great strategy for monitoring use of your campaign/ad hashtags and how well they’re catching on with your audience. Now that you’ve got the know-how and the tools, don’t wait another day to start testing and tracking your hashtag use in your social strategy. Request a demo to learn more about how Sprout Social can help with your hashtag analytics, and let us know your favorite ways to implement hashtags in the comments!